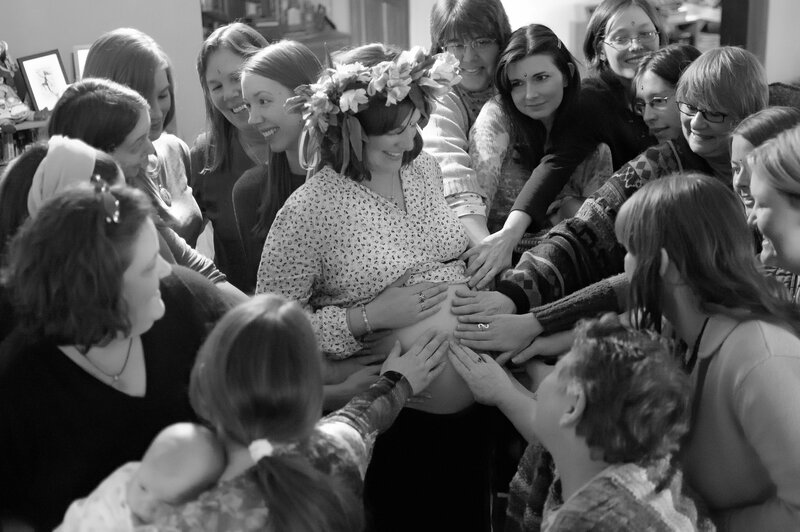 My group of friends have a wonderful, long-standing tradition of holding mother blessing, or blessingway, ceremonies for each other when we’re pregnant. Our local tradition began in the 1980’s with my own mother’s group of friends and has carried down into the next generation and our childbearing years. On this page, I’ve brought together all of my previous posts and resources about mother blessings. 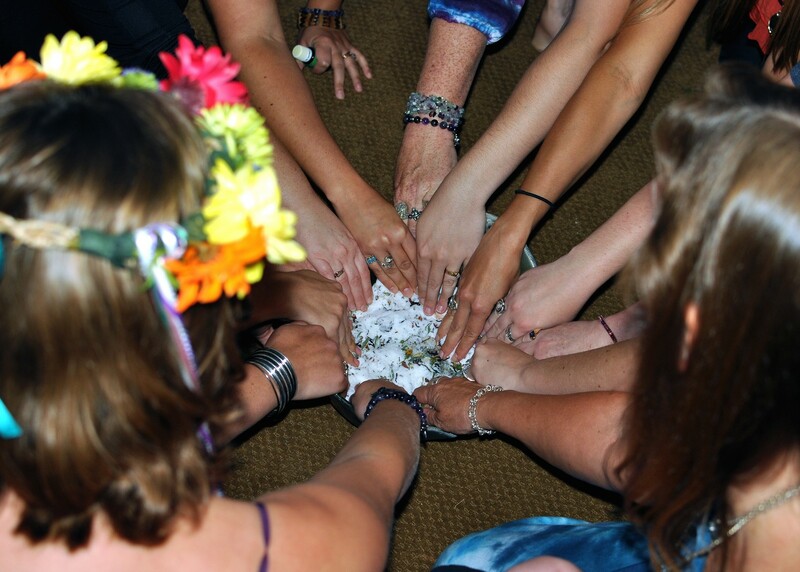 Here you can find many ideas and resources for blessingways and women’s ceremonies. Enjoy! Mother blessing with my youngest, September 2014. Here is a handout of the chants we often use at mother blessings. It is formatted with the chants in two columns so it can be cut in half to distribute during a ceremony. I am also the author of a 68 page digital Ritual Recipe Kit that includes detailed instructions for a mother blessing ceremony as well as scripts for several other types of ceremonies for women. This 68 page digital ritual recipe kit includes general information about planning and facilitating rituals. It includes “ritual recipes” for maiden, mother, and crone ceremonies as well as a bonus new baby naming ritual and a family full moon ritual. Each ritual contains a complete ritual script as well as suggested supplies, an actual recipe relevant to the ritual such as cocoa butter belly balm for a mother blessing, handouts, readings, songs and more. via Ritual Recipe Kit for Women’s Ceremonies digital by BrigidsGrove. And, we’ve also developed a digital version of our Mother Blessing Facilitator Kit. For women interested in facilitating Red Tent Circles, I’m pleased to offer a bundled collection of resources in a Red Tent Kit. Come join the free Creative Spirit Circle for resources, monthly freebies, courses + mini books, and art announcements.